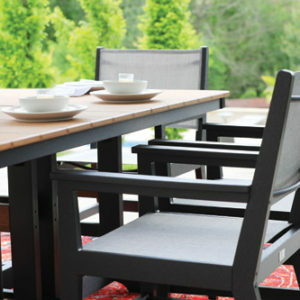 Infusion of poly lumber and Sunbrella sling fabrics make this dining chair comfortable and durable. 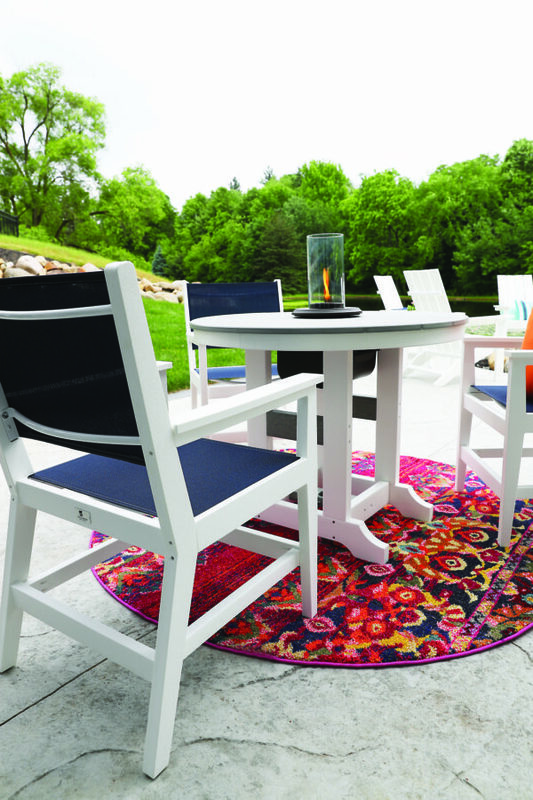 Outdoor dining at its best. Pair the seating of your choice with the table of your choice. Available in 8 sling fabrics and 11 poly colors.